Start Local. Let it Happen, Make it work was a very successful one day seminar held in Wellington in June. 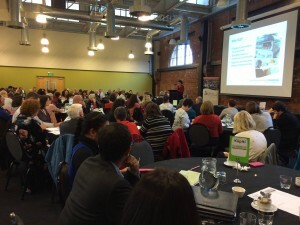 In what was an oversubscribed event; 160 people from government, local government, academia, business and communities gathered to increase their understanding and confidence in using a locally-led approach. Presenters from the Community, local and central Government shared their perspectives and explored ways to support locals to drive change in their communities that lead to sustainable, effective outcomes. The Big Picture – Shreya Basu, Open Govenment Partnership: Regional Civil Society Coordinator for Asia Pacific relfrlected on some of the big drivers,opportunities, dilemas that are driving locally-led change and collaboration internationally. Manu Cadie from Tiakina ō Tātou Tamariki in the Gisborne neighbourhood of Kaiti South- and neighbourhood specialist Jim Diers, recently talked to Nine to Noon’s Kathryn Ryan about how it takes all parts of the community to grapple with tough challenges. Issues like poverty and child abuse, crime and unemployment, the environment – in fact any issue, need localised, collaborative approaches. 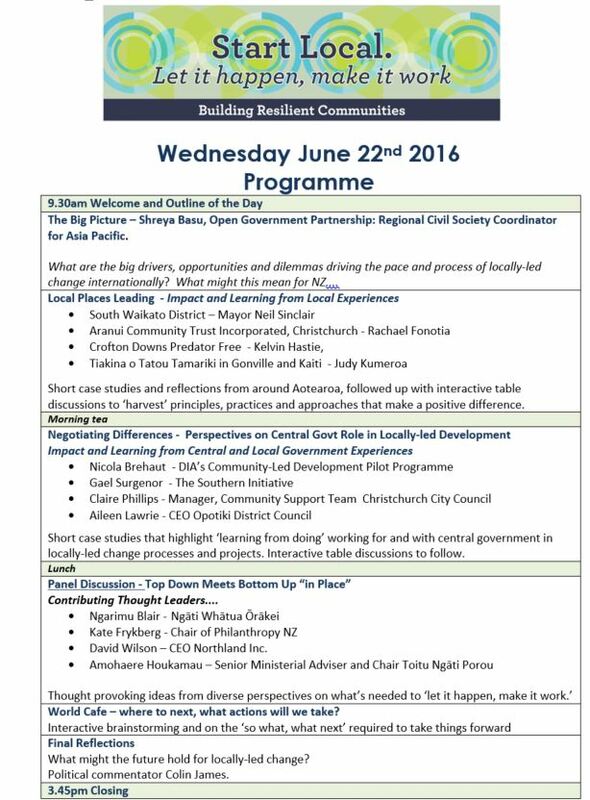 Tiakina ō Tātou Tamariki is a great example of neighbours affecting change, it will be one of the case studies highlighted at Start Local. It’s worth taking the time to listen to the interview, if you haven’t already. Start Local offers the opportunity for you to hear more inspiring stories.